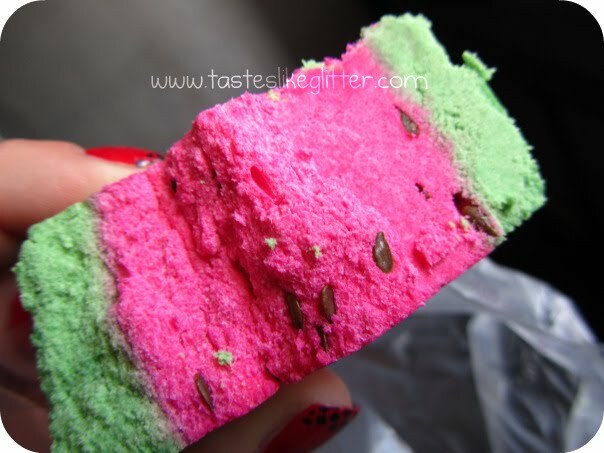 Looks like a chunk of watermelon, smells like a stick of Blackpool Rock. 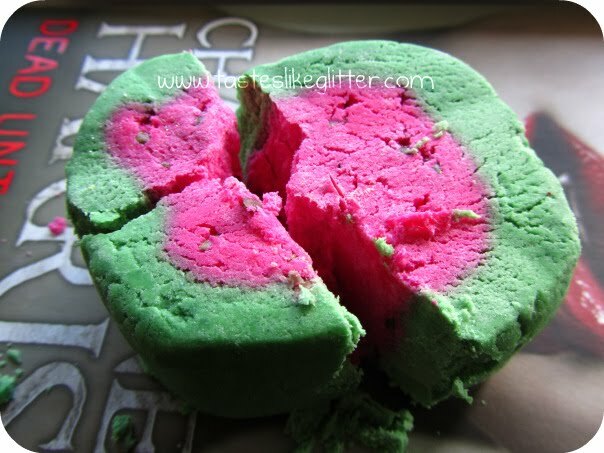 It makes peppermint bubbles to wake you up and unclog your mental blockages. Give yourself a good loofah scrub in a Melominty bath and it'll give your whole body the same feeling your mouth gets when you brush your teeth. 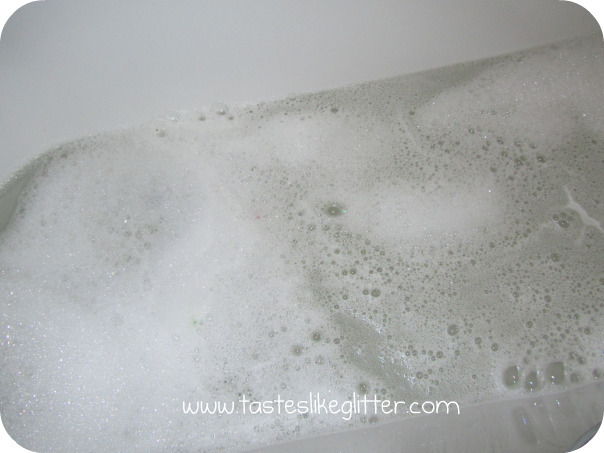 Have a stimulating Melomint revival in your morning bath. Ok, firstly before I start. I absolutely have to get this out of my system. Scroll back up to the first two pictures and notice the little green bits embedded in the pink middle, yes? I was under the impression that they were just extra bits of green, ie. the same stuff used on the outside. Making sense? Then to my horror, yes, horror! I slice it open and what to I find inside? They have zero purpose whatsoever as far as I'm concerned. They just sit in the bottom of the bath looking like big nits/fleas. I'm not even joking. It's really quite gross. If you're listening Lush, keep the linseeds in bread, where they belong and not floating around in my bath. Please and thanks. Anywayyyy ... The actual product itself is ok.
Just ok though. The scent is very refreshing but very faint so it doesn't really give you that 'stimulating revival'. I used this when I needed keeping awake and it could have just been me but I found the scent seemed to disappear by the time I got in the bath. 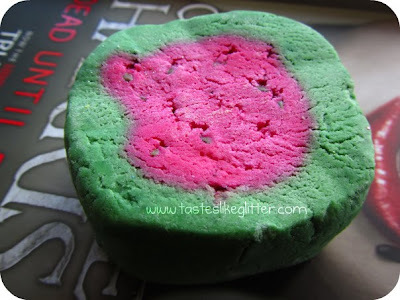 Also this is a really hard Bubble Bar. I had some serious trouble trying to crumble this one up. I know I haven't really said much about this but I honestly can't find the words to do so. I don't hate it but I really don't like it and wouldn't recommend it.